Through various incentives and strategies, employers are doing their best to ensure employees are happy and engaged. Much of this is being driven by the need to attract and retain employees in the executive, managerial and professional labor market, which is largely candidate-driven across many industries. In this environment, job openings outnumber skilled professional, putting applicants like you at a distinct advantage. Since successful business operations hinge on performance, employers are placing more focus on performance reviews. But as a recent study from MRINetwork found, many workers aren’t finding these reviews especially useful. The 2018 MRINetwork Performance Management Study found the majority (54 percent) of employers are putting more of an emphasis on performance reviews with their staff, but interestingly, most employees don’t feel the same. When respondents were asked whether they see their employers placing more focus on performance reviews, only 13 percent said the importance of reviews is increasing, compared to 65 percent who indicated the emphasis on performance evaluations has remained the same. Employers are aware their staff may feel this way. In fact, their workers’ dissatisfaction is part of the reason why they’ve sought to change their processes. Try as they might, these attempts have occasionally come up short due to other tasks and responsibilities taking precedence. In other instances, improved processes may be in place, but lack follow-through or adequate resources. Depending on how long you’ve been with your employer, you probably know a co-worker you can turn to, such as when you have a question about a task or need guidance. Consider this person your mentor. He or she has likely been with the company for a while and clearly has established a mindset and method of operation that’s allowed him or her to succeed. 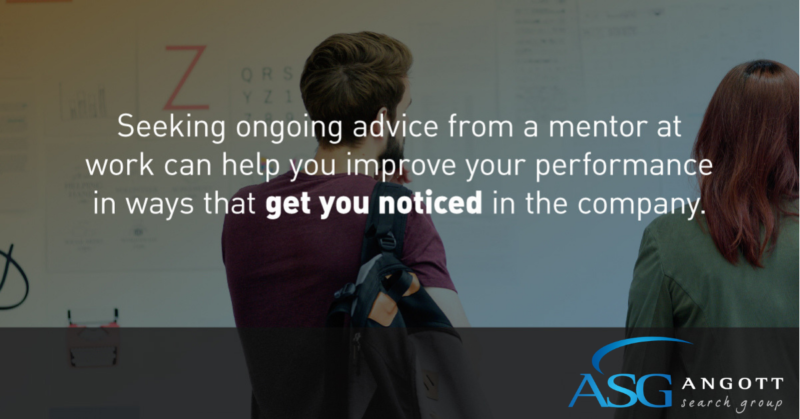 Talk to them about what they do to improve themselves so that they’re always improving in a way that is noticeable to your company. Performance reviews are often one-sided, but should be more of a conversation, where you and your boss discuss your overall performance throughout the year, outline areas that can be improved and set new goals for the coming year. This is the ideal time to let your manager know about what’s been on your mind. Before your review, make a list of the things you’d like to discuss – in order of priority – and go from there. Just make sure that the items you mention concern things that can help you perform more effectively or would be an asset to your team. For example, if there is a work process or protocol in place that you feel is unnecessary, explain why that’s the case and what might be done as an alternative. Additionally, if you would like to learn a new skill, that would not only benefit you, but also expand your team’s capabilities, discussing it during your review shows that you’re serious about wanting to improve and are actively engaged. One way to demonstrate your growth potential and ability to collaborate is to take on new projects, especially those that provide the opportunity to partner with team members or other departments. Whether it’s a major initiative or just providing some assistance based on your skillset, make note of when you’ve offered a helping hand, so you can point back to these instances in your performance review. Working with other people can also help you identify areas where you might be able to improve, such as patience, trust or a willingness to learn. This serves as a vehicle for ongoing feedback that can help you self-reflect. Whether more regular performance reviews are already in place or not, the above tips can help you get more out of these discussions, by taking proactive measures to improve your work outcomes and ultimately your career advancement.